Since she was 20 years old, Elisabetta Geppetti, a fiery redhead with passion and youthful energy to match, knew that she wanted to make wine at her family estate. 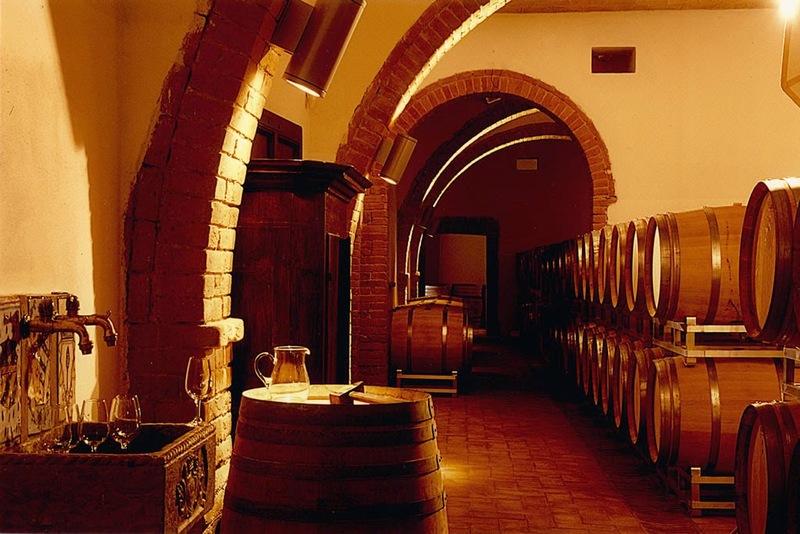 After a remarkable 30 year career she has created one of the most significant wine estates in Tuscany and has been instrumental in bringing the recognition so deserved to this winemaking region along the Tuscan coast. Today, Elisabetta’s daughter Chiara works beside her and as a team they are continuing the tradition of quality at this picturesque estate in Maremma. The heart of Le Pupille revolves around one of the greatest vineyards in Maremma, Saffredi; small 5 hectare vineyard that was originally conceived and planted in 1987 with the help of the renowned consultant Giacomo Tachis. Saffredi is a blend of Cabernet, Merlot and Petit Verdot, though occasionally some Alicante finds its way into the mix. Recently we enjoyed the 2007 over a relaxing Palm Sunday dinner. 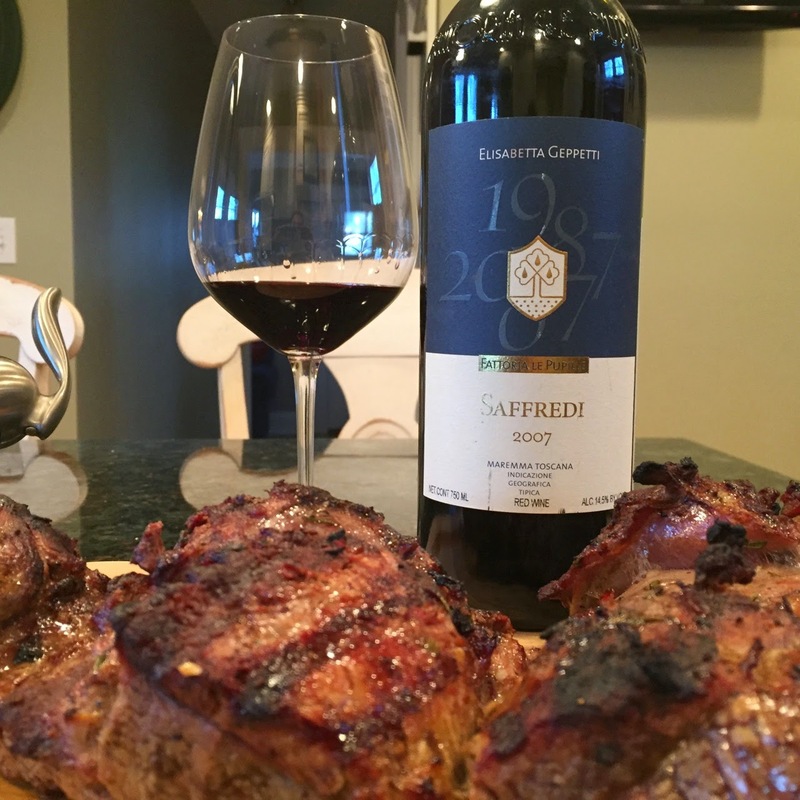 The 2007 Saffredi is every bit as remarkable as I have come to expect from the vineyard and the estate. We decanted the wine for 60 minutes prior to dinner to remove a fine, coffee grind like sediment. In the glass, the wine is a deep ruby red with darker violet streaks. Even with the decanting the aromas seem slightly reticent at the moment. Black plums, spice, new leather seem dominant. As the evening wore on, traces of herbs appeared fleetingly. On the palate, the wine is more expressive. It has wonderfully juicy flavors of black fruits with tobacco leaf, spices, minerals and silky tannins. Full bodied and still somewhat chewy, I’d recommend holding these another 5 years at least. It’s packed with fruit and in wonderful balance. I’d like to see more complexity emerge with cellaring. 92 points with great potential. About $60. With the Saffredi, we made a simple Leg of Lamb Recipe that involves no more than marinating a butterflied and de-boned leg for several hours in the refrigerator and then grilling. I butterflied the lamb myself, but you can easily ask the butcher to do it. The idea is to try and keep the lamb as close to an identical thickness as possible so that it grills evenly. Drizzle the lamb with good extra virgin olive oil. Apply all the above ingredients to the lamb, except the salt, and rub them all over and into the meat. Cover and allow to sit in the refrigerator for at least 6 hours. Season with salt and grill over high heat for 2-3 minutes per side to develop a nice sear and crust on the meat. Then lower to medium high heat and finish for another 5 minutes per side. Total grilling time should be around 15 minutes depending on the thickness of the meat. This provided wonderfully rare thicker pieces and more medium slices where the meat was thinner. Everyone was happy!